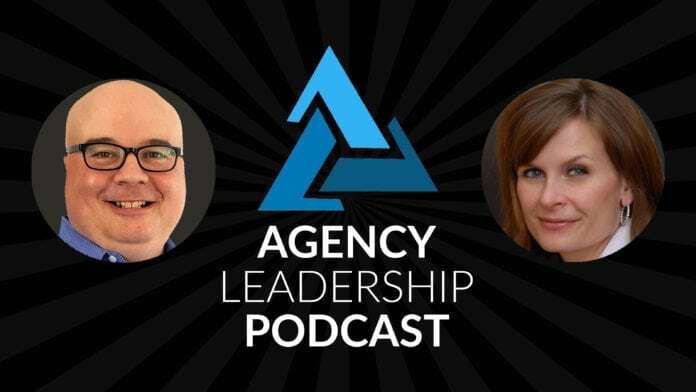 In this week’s podcast, Chip Griffin and Gini Dietrich discuss why your agency should have a focus and how it will make you more successful. GINI: it. Chris Penn can just do a transcription and have an machine tell us in about 30 seconds. So focus, focus, focus, focus, focus. CHIP: All right. Anyway, so first, is it important for your agency to have focus or should you just take in whatever business comes in over the transom? CHIP: or, or you accidentally find out what your focus is. Right? I mean, that’s fair. I think that’s an, it’s an interesting question whether you should set about to have a particular focus or you should allow the market to inform it. And I think it’s probably somewhere in the middle. I think, you know, my advice to folks is to start somewhere but be prepared to pivot and I think most of us have pivoted at one point or another with, with all of our agencies, frankly, with me for some of my other businesses as well. Um, and it’s, it’s that it’s having that flexibility to pivot sort of, as we talked about on a previous episode. No, don’t call yourself awesome facebook marketer agency because then when you need to pivot, that’s going to be a lot harder. You know, I think it’s important to, to think about, um, uh, having a focus but then being willing to adjust it as time goes on. GINI: And I think there’s two areas of focus. One is what you do, you know, if it’s search engine optimization or it’s digital advertising or it’s digital marketing or social media or media relations, whatever it happens to be. And then the other piece is the vertical. You know, focusing in an, in an industry, those things can always, always expand. But when you try to be a jack of all trades, I think that’s when you start to get into trouble. CHIP: Absolutely. And, and you know, again, as we’ve talked about on a previous episode, you know, most the folks are listening to this are not big enough, that they can be a jack of all trades, right? You don’t have that kind of resource that you can do everything for everybody. So you really need to think about what it is that you can do. Well, what is that you can convince people that you do well so that they hire you. And then of course the, the ultimate execution is the, you know, the real challenge, I guess, you know, I think the construct that you’ve come out come up with, which is, you know, what do you do and who do you do it for? I think that’s, I think that’s a piece of the puzzle. I, I like to think of it sort of in almost journalistic terms, you know, who, what, where, when, why, and how. CHIP: So you’ve got basically the, you know, the, the WHO. So who are you targeting, you know, what vertical you’re going after, what industry are you going after? Um, you know, the, what is his, what is it that you do, but I think, I think where is important, so geography, you need to understand what’s your geographic focus is and for some agencies that’s more important than others. I mean you could be, you know, looking to be the best agency in New England, um, you know, or you may be looking at that, the whole us, but very few agencies are looking at the whole world. So you need to, you need to think about what kind of geographic parameters you want around it and then the, the, when, why and how are a little bit more subtle. I think, you know, when in my mind I think it’s the, it’s how you’re providing a service. CHIP: So is it, are you doing project based work, like a lot of digital agencies might, is retainer based. So the sort of the, when is sort of the timeline that you’re targeting with clients because pitching projects is different than pitching retainers. Typically you know the why. That’s understanding what your value is. So what is what value you’re providing to your clients. Now you know, why should they hire you and then of course the how is sort of a, your unique and again, agencies are not all that unique but you, you have some twist I’m sure with your agency that you want to highlight, that’s what I call the how you need to be careful, right? Because at the end of the day, you know, you talk about like an accountant for example, know you don’t really want an accountant who’s truly unique. That’s kind of scary. Same same thing with a PR agency. You don’t know, you don’t want to be all that unique, but there’s a twist and, and I think that’s important to, to have as you’re trying to differentiate yourself from competitors in pitches. GINI: Yeah, I think that’s really important. And you know, I’m going to give you a quick story. I’m working with a client right now who, when she came to me, her audience was entrepreneurs and I was like, okay, what kind? And she said, well, you know, any kind of entrepreneur. I like the startup entrepreneurs. I like nonprofit entrepreneurs. I like service based entrepreneurs. I just like entrepreneurs and we really have dug in and it’s taken us several weeks to get her to a point where it’s one type of entrepreneur and we worked really, really hard on it last week and it’s one of those things that when you’re working with a client and you, you, you, you want to give them enough to be able to learn how to fish for themselves. You just keep asking questions. And I just kept asking questions and asking questions and asking questions and, and that. GINI: And it’s really hard from my perspective because I could see it right in front of her, but I needed her to get there herself. Um, so it’s hard for me not to give her the answer, but you know, to keep asking for. And then she’s frustrated with me because I’m not giving her the answer. I’m getting her there. And so we worked really hard on that last week and this morning she emailed me and I sh, I should almost read it out loud, but it was glowing and it talked about how she finally feels like she knows where she’s going and it’s because we created a target audience for her that’s specific to the what she does and the how that she does it, um, know she’s not different than any other marketing agency except that she focuses in on this industry and it’s really, really near and dear to her heart. So instead of going after anybody who’s an entrepreneur, she’s really focused in on one specific niche of it. And you know, it’s, it’s been fun to watch her sort of progress even in emotionally and mentally herself because she finally feels like she’s got something that she’s really passionate and excited about. CHIP: And I think you’ve touched on two really important things there is know the first one is that you have to have a focus that excites you, that there’s going to be an entrepreneur and run your own agency. You need to wake up everyday and be passionate about what it is that you’re doing and who you’re doing it for you. If you simply are doing it to pay the bills and you wake up and you’re like, God, I can’t believe that I’m working for insurance agencies. I really God, this is just, oh, paint. You’re not going to do a good job. You’re not gonna. Enjoy it and life’s too short. Enjoy yourself. So find a focus that you’re excited about, that you’re passionate about. The second piece is finding a target market that’s the right size and you know if you come up with a focus that’s so narrow, then you’re going to have no fish in the pond to try to retrieve. You know, you’ll have two or three, okay, that’s not going to. Most of us aren’t going to survive there. On the other hand, if you’re so broad, then people like, well, how does that make you any different? So it’s, it’s really finding that balance when you’re coming up with the, what you do and who you’re targeting and where they are that you can come up with something that is a manageable market to become recognized in, to fish in and, and, and to become an expert in. GINI: And I would also caution you to do competitive research because I remember back in the day we were doing, um, we worked with GE franchise finance and as, as we started to grow within that, that business unit, we started adding other business units but they all had something to do with franchise. And so we were like, okay, you know, I mean at that point we were probably doing half a million dollars a year in GE business, some sort of franchise, something with one of their franchise business units. So we said, all right, let’s go into the franchise industry because we’ve developed this expertise and we’ve really built out, you know, we know all the journalists, we know all the event coordinators. Like we knew all of that and we failed to do a competitive analysis. And it was extraordinarily hard to break into because there are three PR firms, that’s, that’s all they do, that’s all they’ve ever done. CHIP: when there are some industries that are, that are very insular. So it’s not necessarily that you’ve got two or three incumbents who have the lock like you described, but there are somewhere, you know, if you’re not from that background, you’re out. All right? And so, you know, um, you know, higher ed for example, is one that is very difficult to break into in a lot of cases unless you have some sort of higher ed background as an agency, they, they tend to, not 100 percent of the time, but they tend to hire folks who already have experience doing that. Whereas, you know, in other industries they’re much more open to creative points of view wherever they’re coming from. So understand your target market and you know, that will help you make sure that you’re not making that kind of decision where you’re just, you know, you’re, you’re, you’re running up against something that you can never overcome. GINI: Yeah, it’s, it’s really important to do all that. We haven’t talked about this yet, but traction by Gino Wickman is a really good place I think to start when you start thinking about these kinds of things because it helps you think that through. It helps you think through what is your why, what is your, how, you know, what is the competitive landscape. It helps you think through those things as you’re building something that is going to last. Um, so I always recommend starting there as well, traction, uh, because it really helps you organize it and it gives you a nice little template to fill in as well. So you don’t even have to do that work. CHIP: That’s a great suggestion. And the other thing that I would encourage folks to do is to try to think a couple of steps down the road as well. So, you know, you want to, you want to start somewhere today, but think about, you know, okay, over the next three to five years, where might I be able to go with this? So start, I wouldn’t say preplan, but at least pre consider your possible pivots. And so, you know, think about, you know, if you’re doing it for a particular industry and you’re really knocking it out of the park, is there an adjacent industry that you can move to or within the same target industry? Can you pivot the service that you’re or add to it? So, so try to think about how flexible what’s you’re coming up with is because if it’s, if it’s so tightly focused that it, that it doesn’t leave you that wiggle room, it will become hard to be to make that expansion down the road because people will see you in one particular way. So if you’re, if you are sort of just a twitter marketer and that’s it. Okay, that’s fine. But that, that becomes more challenging to pivot if you want to go to say traditional media maybe easier if you want to expand to a different social network. So think about, you know, how it is that you might be envisioning your expansions down there. GINI: Yeah, I think that’s really important. And I think we talked about this maybe in the first episode as well, but yeah, and to your point a few minutes ago, you don’t want to focus just on facebook or just on twitter or just on social media. You have to be able to focus or you know, be able to exactly what you said, pivot to something else or expand or build upon. Because social media is not going to be around forever, media relations has changed significantly since I started my career. Search engine optimization has changed significantly in the last 10 years. So you really need to be thinking about how you expand and evolve the kinds of things that you’re offering as well. CHIP: Well, if you become the, you know, the world’s best twitter marketer, you know, that can go away literally overnight if twitter change its policies or, or something like that. So you really want to be careful about tying herself so closely to anything that is out of your control. Yes. So make sure that you’re thinking about that as well. What are the, what are the risks in my focus that I need to think about, particularly those risks that I can’t influence in any way, shape or form? GINI: Speaking of Google plus experts. GINI: another. There was a, um, shoot, what was the video platform that went away too that everybody had put their ponies into? I can’t remember now. It was just a couple of years ago. GINI: you know, I will tell you this is a total side note, but we were working with a water park that and we were working with an ad agency in Minneapolis, one of my favorite ads ad agencies on earth and we had, we were working in this business together. They are opening a waterpark in the suburbs of Chicago and we built the waterpark inside second life to give journalists have preview and it was either journalists had one of two reactions, what the heck are you doing to us? Or holy cow, this is cool. So it got, it got us, you know, this the only thing it worked on. We tried it several other times and it didn’t work ever again, but it was kind of interesting to build the waterpark in there and then let journalists go in and kind of ride the rides and check things out. It was kind of fun. CHIP: Okay. I’m not even sure what to say to that. So I’m glad it worked for you, Jenny, that only one time. Only one time. CHIP: not too long ago. Someone told me that second life is still around, but oh really? I didn’t even realize that. I didn’t realize that either. Um, and maybe it’s not because that was probably a year or so ago that I was, I was told that I did not go looking. Um, anyway, let’s, you know, let’s pivot, shall we say off of second life because I don’t think there are that many people who care. Um, so when you think about focus, you know, how, how obsessive do you think people should be about their focus? In other words, you know, if you start getting inquiries from people in your network and it’s outside your area focus, you know, do you try to move away from that? Do you know? And I think there’s a lot of different arguments for this. So I’m curious what your take is on how, how, uh, uh, I guess obsessive with probably isn’t the right word, but you know, how focused on your focus should you be? GINI: I will tell you from my experience that when we have not been focused and a client has come to us and say, or a prospect has come to us and said, you know, we really admire what you guys are doing. You guys have great reputation. So. And so referred us, whatever it happens to be, we’d love to work with you every single time that has been with outside of what our focus we have. It has ended poorly either. The client wasn’t a great client, we didn’t service the way we should have. We were trying to learn on the job, you know, whatever it happens to be, it has not ended well. Every time that we have maintained the work that we do and the way that we do it, we’ve, we’ve won every single time. So, you know, that’s only my experience and certainly I know that other people have had different experiences and different kinds of success outside of their, their focus. But I think the other thing that having a focus does is it allows you to say no to opportunities that aren’t right. CHIP: And saying no is very important to. We’ll probably at some point have to have an episode about that and hopefully I’ll learn a few things from that because I’m terrible at saying no to people about all sorts of stuff. But the. I think you’re right. I mean, I think that that having your focus and remaining committed to it is important. Now, that doesn’t mean you don’t take some, you know, friends and family project, you know, we all are part of some club organization where you’ve got to try to help them out on the side or something like that. But I think to me that the biggest reason to keep focus even more so, I think than some of the suggestions that you’ve had. Is it because it reduces your efficiency dramatically? If you’re. If you’re sort of going wandering off into different directions, you can’t use the knowledge, the processes, the connections, all of those things that you’re building to help your core group of clients. The more that you’re wandering off in other areas, the more that you have to reinvent the wheel in different places and when it comes to being profitable. And frankly if you’re running an agency and you’re not focused on profitability, what the hell are you doing? But assuming that you are focused on profitability, you need to be thinking about how do you increase efficiency? And part of that is by having that kind of focus. CHIP: and, and it becomes very difficult to tell your story too. So you know, if, if, if you, if it takes you 20 minutes to explain, you know, what you do and who you do it for. I mean it’s like going to the cheesecake factory, you know, and you know way too much. If you would like a phone book for your menu, that’s fine. Cheesecake factory is fantastic. I mean I, I was somewhere, I was just either reading or I think it may have been on TV. I saw something about how the cheesecake factory has like 700 and some items on the menu. I mean some really ridiculous number and the number of different preparations for chicken just absolutely blew me away. I’m, I’m really trying to remember. It actually may have been a podcast. I heard it on a free. All you listeners out there, I’m sorry, I can’t remember which one it was in. CHIP: If you’re the host of that podcast, I’m doubly sorry, but it it, it’s it. It’s really. There are far too many businesses of all kinds, but particularly agencies who just say, yes, I do that. Yes, I do that, and it’s that, and when and when you’re in with a prospect, it’s very easy to start saying that you know the, the prospects of, well, you know what I need is this. Oh sure, we can do that too. We can do that. Yeah, because you want the business and it’s, and that’s where you start getting yourself into trouble because you know you’re not gonna. Execute on it. Well, you’re going to become inefficient and you’re going to lose the ability to build a reputation. CHIP: we couldn’t do so don’t be him. As many listeners know, I, I used to have a, a software company called custom scoop and I had a business partner, a great friend of mine. We, you know, we continue to work on things today, but he was that guy. So the, so I was the operator and, and he was sort of the, I wouldn’t say sales guy, but he was, you know, he, he was the guy who pushed the envelope on business development and so we’d be sitting in meetings, he would do the exact same thing and, and, and he would say, oh sure. And so then, then I would have to run back and, you know, right, the computer code or later on have the tech team, right, the computer code that would do what we needed to do. And that was fascinating. The irony is as I’ve moved on in my career, my tech guys have told me that I’ve become that person who tends to say, oh, sure, yeah, we can have that feature. CHIP: No problem. We can do that in the next two or three days of having to figure it out. That’s why. Right. And I, and I do like to think that, you know, because I have a technical background, I can make a better judgment over, you know, how much work it will really take to do it. I often underestimate because I’m, you know, I’m a hacker, not a, not a professional coder, but in any case, um, know. So yes, I think it’s the, you know, the, the key is not to say a yes that you can do absolutely everything you want to try to steer the conversation towards, you know, what you’re good at and if you are not a good fit, if it is not within your focus, if it is not within your expertise, tell the prospect that, find, find them someone who can do what it is that they need. If you are not the best solution, find that solution for them. They’ll appreciate it and they’ll use you for what your expertise is down the road. It may be a year, two years, three years, who knows, but you know, it is much better to make a referral than it is to take on work that you’re not going to excel at. CHIP: So, um, I guess any other thoughts on focus? I, I feel like I’m about to. GINI: I think we covered it all. Find your focus for what you do and who you service. I do like the length. Is it project is a retainer, is it a year? Is it six months? Is it three years? Figure that out as well. That’s really, really smart advice. CHIP: I think it’s really important, particularly in this day and age where, you know, there are a lot of, particularly your digital agencies tend to do a lot more project work. Um, and, and you know, more traditional pr agencies tend to do more a retainer work. All of those are gross generalizations and not always accurate, but it’s, I think knowing what it is that you’re good at because we all say, oh yeah, we want retainers because that’s easy money, right? And they’re not easy money, their project, and so you generally speaking, want to have some sort of a recurring cash component, but at the same time, if that’s not, if that’s not what you’re really good at, right. Because maintaining retainer relationship is far different than executing on particular projects. Um, and so knowing what you’re good at and how to build that into your focus, I think has real value. GINI: Yeah, I totally agree. 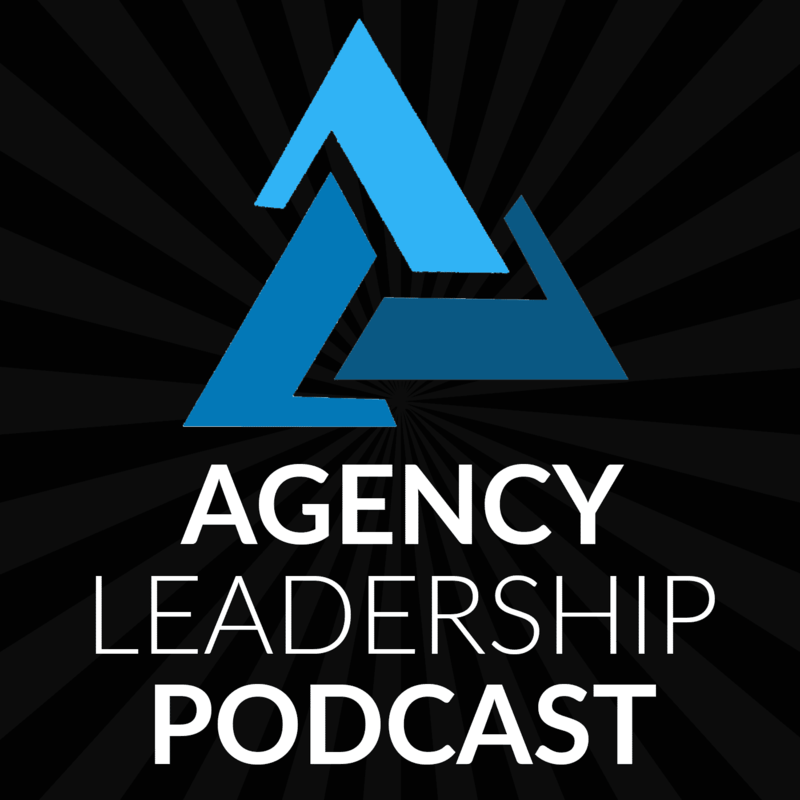 CHIP: And on that note of agreement, that will bring to an end, another episode of the agency leadership podcast. Hopefully this has helped you find your focus. Even if we maybe wondered a little bit in different directions and maybe didn’t have as much focus, should we say focus a few more times for Chris? CHIP: and we’ll talk to you next week.